The partypoker LIVE MILLIONS North America $5,300 Main Event is heating things up in Montreal, Canada as American poker pros continue to do well. 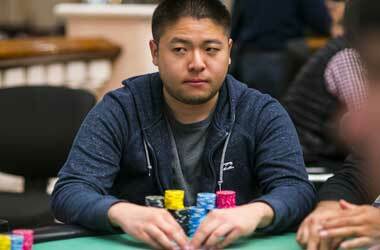 Going into Day 3 on a high is 28 year old US poker pro Brian Yoon who holds the overall chip lead. Will he be able to continue his strong performance into Day 3 and come out on top? Yoon emerged at the top of Day 2a with an impressive 24,910,000 chips, making him one of the favorites to bag this year’s Main Event. Yoon has had an impressive 7-year career so far, with a total of $4,351,237 in live earnings, boosted by his best live cashout of $1,094,349 in June 2017 at the 48th World Series of Poker (WSOP) Monster Stack event. The California native has yet to win a Main Event title, making this year’s partypoker LIVE MILLIONS Main Event so much more exciting for him. During day 2a, the tournament director decided to cut the day short by one level to ensure that the money bubble couldn’t be broken because of the quick eliminations. Yoon sits at the top of the field of 132 players as we go into Day 3. Apart from Yoon, partypoker Chairman Mike Sexton, defending champion Jean-Pascal Savard, and a number of partypoker sponsored pros including Roberto Romanello and Kristen Bicknell also go into Day 3 with a healthy chip count. Some of the other players with a good chip count include Ubaid Habib with 24,116,000 and top poker pro Antonio Esfandiari who will be bringing 23,685,000 chips to Day 3. Esfandiari was leading Day 2b before Ubaid jumped and stole the lead from him during the last five hands of the night. Day 3 of the partypoker LIVE MILLIONS Main Event will resume with blinds at 70,000/140,000 and a button ante of 140,000. Players will compete fiercely and look to overtake the likes of Yoon and Habib as they battle it out for a massive prize pool which has $10 million in guaranteed prize money. It was an ambitious guarantee ($10m) by partypokerLIVE. Needed 2000 to make the guarantee, final total = 1954 entries for slight overlay for players. Good effort by all. Thank you players for your support!